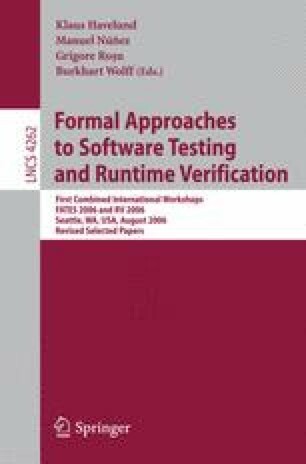 The starting point for Model-Based Testing is an implementation relation that formally defines when a formal model representing the System Under Test conforms to a formal model constituting its specification. An implementation relation for the formalism of Labelled Transition Systems is ioco. For ioco several test generation algorithms and test tools have been built. In this paper we define a framework for the symbolic implementation relation sioco which lifts ioco to Symbolic Transition Systems. These are transition systems with an explicit notion of data and data-dependent control flow. The introduction of symbolism avoids the state-space explosion during test generation, and it preserves the information present in data definitions and constraints for use during the test selection process. We show the soundness and completeness of the symbolic notions w.r.t. their underlying Labelled Transition Systems’ counterparts.